Chemical Engineer and World Scientific author Robert Langer appeared on Desert Island Discs earlier this month, showcasing his most treasured songs spanning from Del Shannon to the Spice Girls. The premise of the BBC Radio 4 show is simple: each week, Kirsty Young chooses one 'castaway' who has to select eight records, one book and one luxury item that they would take with them onto a desert island. For Robert Langer, his wife and children were at the heart of his song choices, as well as reminders of his own childhood and interests. As for his book and luxury item, Langer chose The Iliad by Homer and a photo album filled with photographs of his family. Kirsty Young interviewed Langer on many aspects of his career and interests, including his current aims and ambitions in his work in nanotechnology. "Can we create new therapies using nanotechnology?" Robert Langer asks rhetorically. Part of what he is currently doing is "trying to use nanotechnology to deliver a cancer drug" and someday in the near future there may "be new medicines that will enable us to change the genetic makeup of a cell to - say if somebody has an enzyme deficiency disease - [allow us] to help them on that." "What excites me is both that there are important scientific challenges, but that solving those scientific challenges can do a lot of good. Just to give an example, one of the things we're working on in the lab is an area we call tissue engineering, or regenerative medicine, so someday we might be able to combine materials and cells to create virtually any new tissue or organ. Already that can lead to new skin for burn victims, but we've also done work in terms of new treatments for diabetes, for hearing loss, for many other problems." "Anything we can do that makes people healthier or happier is good." Robert Langer also talks about his work in creating a potential treatment for singers who have issues with their vocal chords. He is working on a gel that can be put on the scar tissue that can build up on singers' vocal chords, causing problems when singing. He hopes for the gel to be an easy resolution, ready to try on patients in the near future. 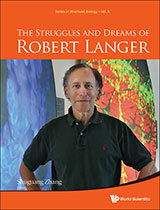 Arguably one of Langer's most impactful developments is in 'personalised medicine.' His team are working on a way of specifically delivering medicine to patients before activating it using a remote control. "We're actually making little chips now in the form of a very tiny cylinder, so you can take a biopsy needle [and] put one of those cylinders in it with maybe 30 to 100 different chemotherapy drugs. Then you come back a day later and... you remove the needle you just put in and a little bit of the surrounding tissue... You analyse that surrounding tissue and it tells you which of those 30 or 100 drugs actually works best on the patient." 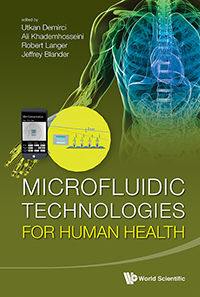 Robert Langer is author of Microfluidic Technologies for Human Health and The Struggles and Dreams of Robert Langer. He appeared on Desert Island Discs on Sunday 16 October at 1115 BST on BBC Radio 4, available here.